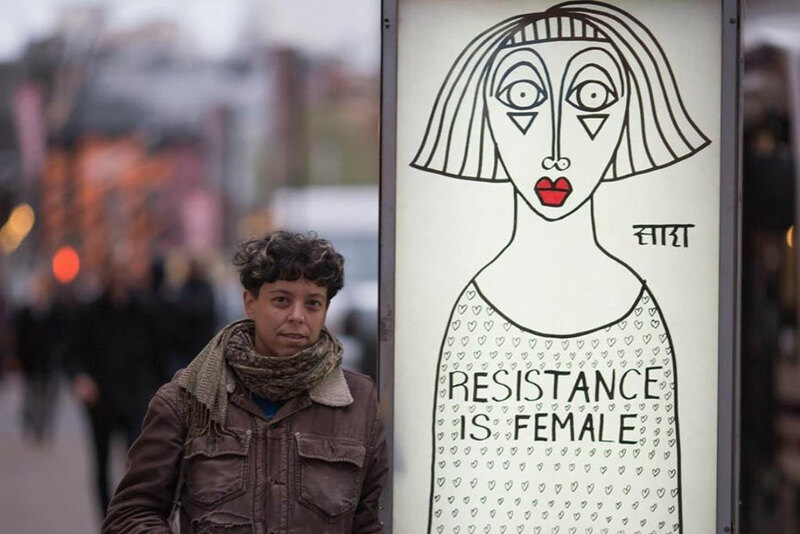 A group of people, women in its majority, artists and non-artists, have taken over the city of New York to speak out loudly. If you have been in the Big Apple lately or have friends living there on your social media accounts, you must have seen some of the motifs. 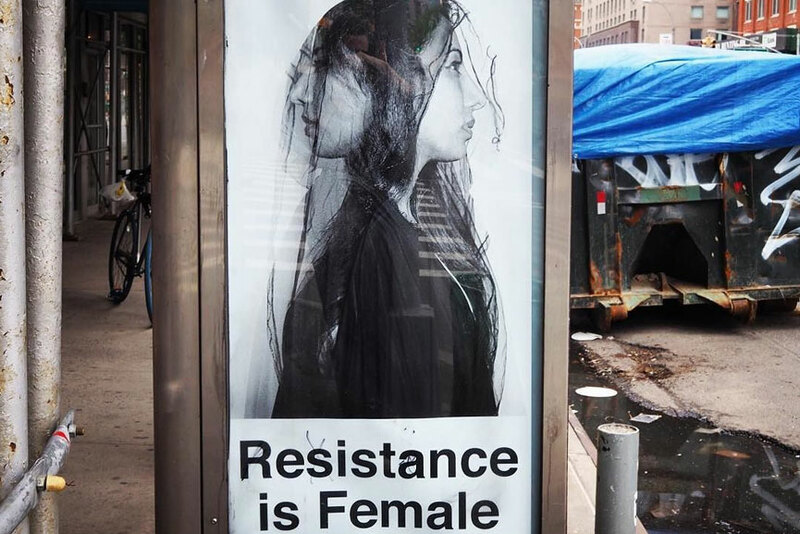 The Resistance is Female is trying to convey a message to society, read on to know everything about it. Women have been chased, burned, killed, abused, silenced and left apart for many centuries. Trump administration took that matter very seriously but in the wrong way. The President of the United States of America won´t stop saying misogynous things about women and their freedom and empowerment and people reacted. 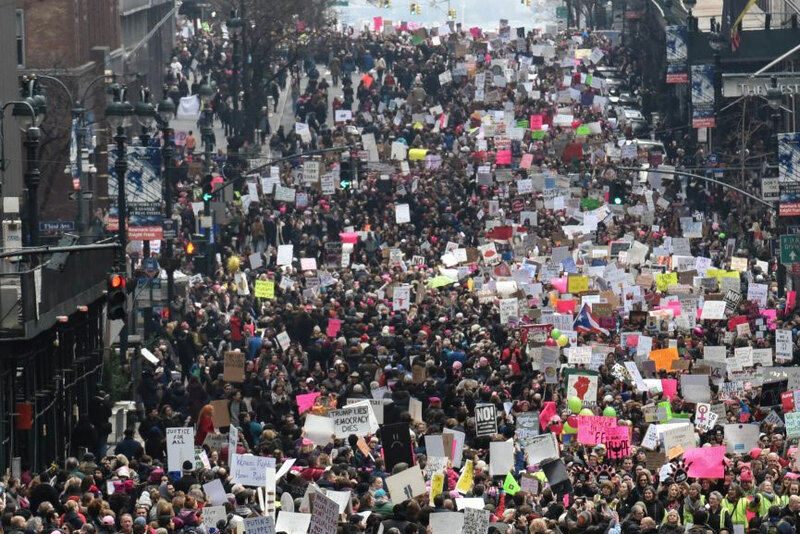 It was on January 21st 2017 that a gigantic mass of people took the streets to make a protest against Donald J and his policies. That day, everybody was named “The Resistance” and the seed for the activism to come afterwards was planted. 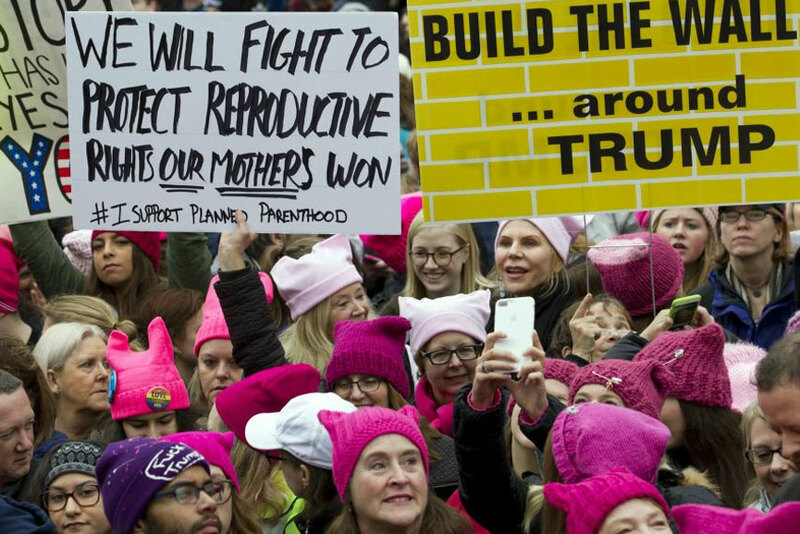 According to recent statistics, most of the activists against the Trump government policies in the US are females. There are those who do it from an art form and those who just walk the streets with flags in the air. 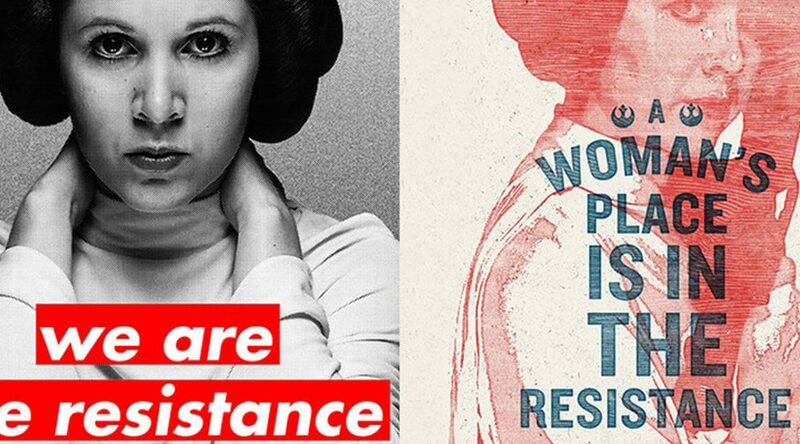 The Resistance is Female does it always from an artistic point of view. 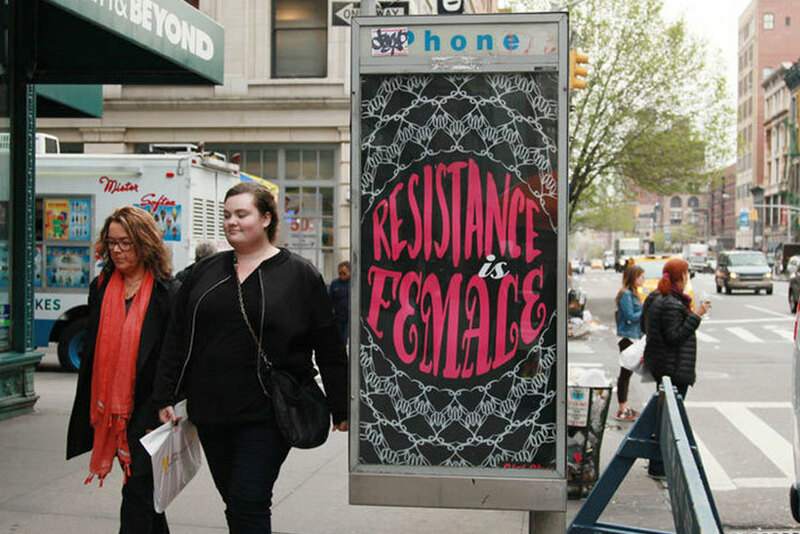 Usually phone booths display advertising that presents women as objects showing them half-naked and with pictures retouched in Photoshop or some other software. This makes them the perfect canvas to send an empowering message to the world. 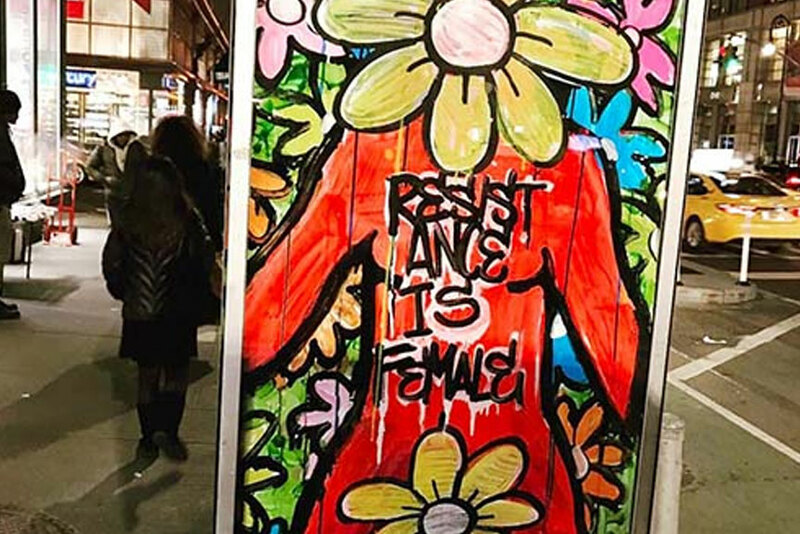 Women are feeling that alienation and moving away from it, they want to be more than just the mere image of beauty, but strong, fighting persons. Besides, they say, it is a reminder in a place we can see all the time. The collective is not all-female, there are some co-creators who are male like Abe Lincoln Jr. Also, not all the collective is conformed by artists, there are those who don´t come from an artistic background and let their intuition guide them through. For example, the 11-year-old artist by the name of Kiana who states with strong conviction that no one can or should tell a little girl she can do less than little boys. The collective is very varied and also very powerful because the activism has been multiplied in the past months. The world is definitely changing to be a more inclusive place for all sexual orientations, genders, races and interests, but don´t be fooled about it, it is not changing on its own. The little changes that we see every day are because of the passionate struggle of millions of people around the globe that want to make it a better place. Streets are your canvas, go take action now!